Name this Series and Win a Prize! Each year I have a quest and I’m hoping you can help me. 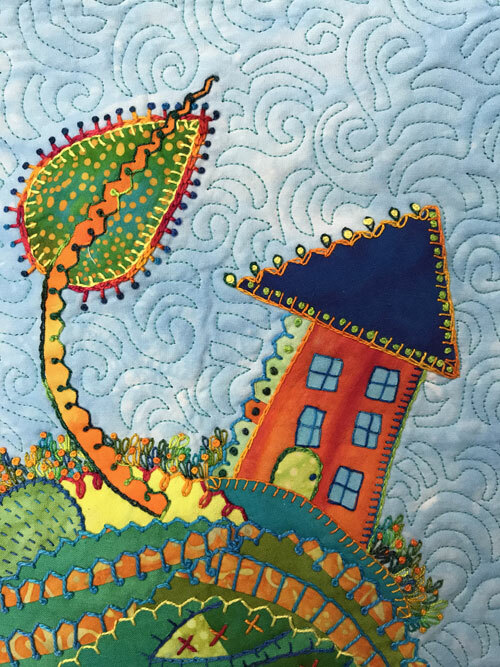 I need a new name for the series of house quilts I’m making. In the past there have been the Housing Department, Windy City, Whimsy Lane, Small World, My House, and (most peculiar) Tilty Town series. Have any ideas of what I might call the new series? And before you get too carried away, please note that Nut House is already taken. If I pick your title for the new series I’ll send you something fun from my house. Any ideas? This entry was posted in houses, work in a series by Laura. Bookmark the permalink.